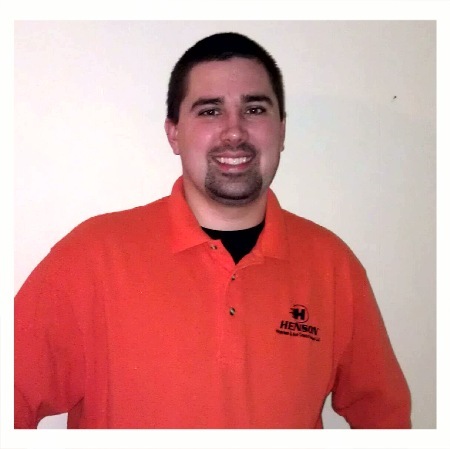 The owner and lead service technician Jeremy Henson, has over 14 years experience and training in the HVAC business. He decided it was time to venture out on his own once he realized he could run a better business. He has extensive knowledge and skills in HVAC and Refrigeration. He strives for exceptional customer service. Through his years of working and training with other companies, he has seen the ins and outs of how to run...and NOT to run a business. He strives to work honestly with the customer as well as provide knowledge if anyone has questions or concerns. Working with customers is like entering into a partnership with them, earning their trust and confidence. Let us prove that we can provide exceptional service at a great price. Word of mouth is the best kind of advertising, so ask around and find out why YOU should choose Henson Heating & Air Conditioning LLC! All of our employees go through extensive on-site training and continued education. It's important to us to have all employees up to date with new innovative procedures and technologies. All our employees wear floor savers on their shoes, use drop cloths, and vacuum after they are finished. Cleanliness is important to us, we want to leave your home in the condition it was in before we arrived.